On Friday evening, I was invited to join the IT Cosmetics sales and PR team for an evening of fabulous makeup products, delectable food, and like-minded beauty influencers from Dallas! I was honored that they reached out because I watch QVC all the time and watch Jamie Kern Lima's appearances. Jamie was actually scheduled to make an appearance in Dallas but, since I had to work the next day, I wasn't able to attend -- bummer! 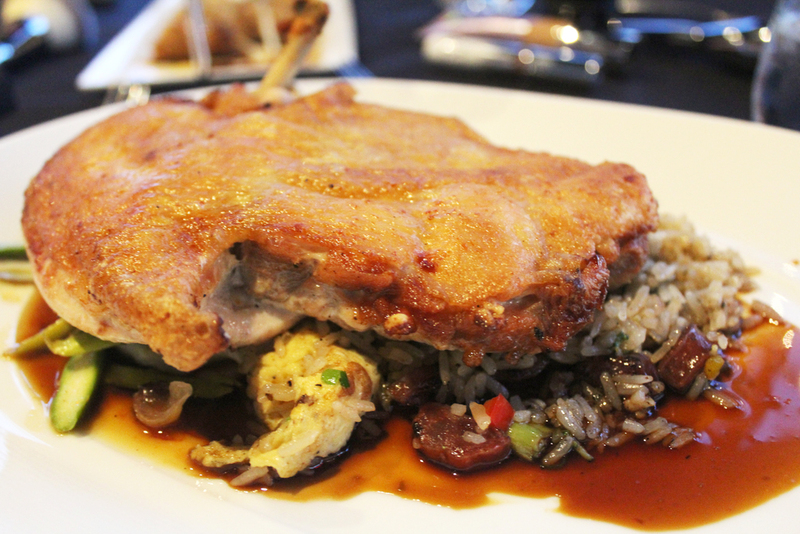 We arrived for dinner at Wolfgang Puck's Five Sixty restaurant at Reunion Tower -- we actually had a private space in the Cloud 9 restaurant (which only stays open during the day). I wanted to share my experience and all of the photos I took during the evening! 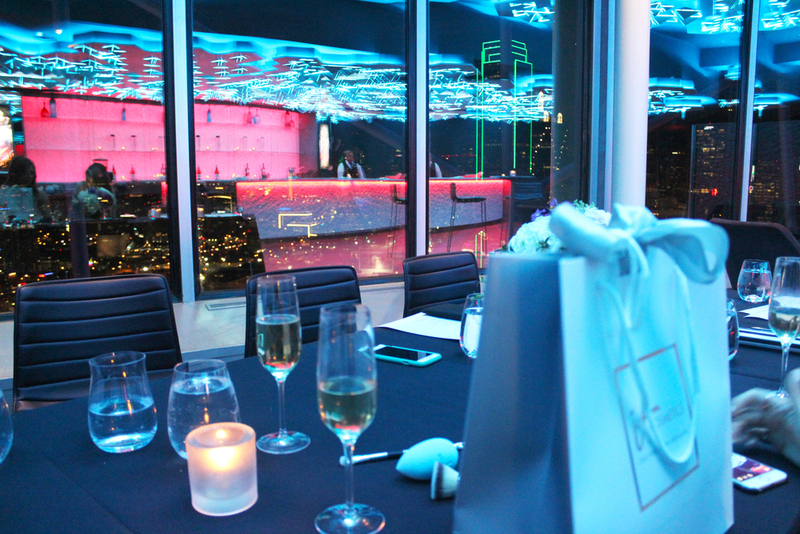 If you've never been to Reunion Tower, you have to go! All of the food is delicious and the view of Dallas is one of the best in the city. Super huge thank you to IT Cosmetics for having me at this event! Just stepping out of the elevator. Loved the IT Cosmetics as table décor! 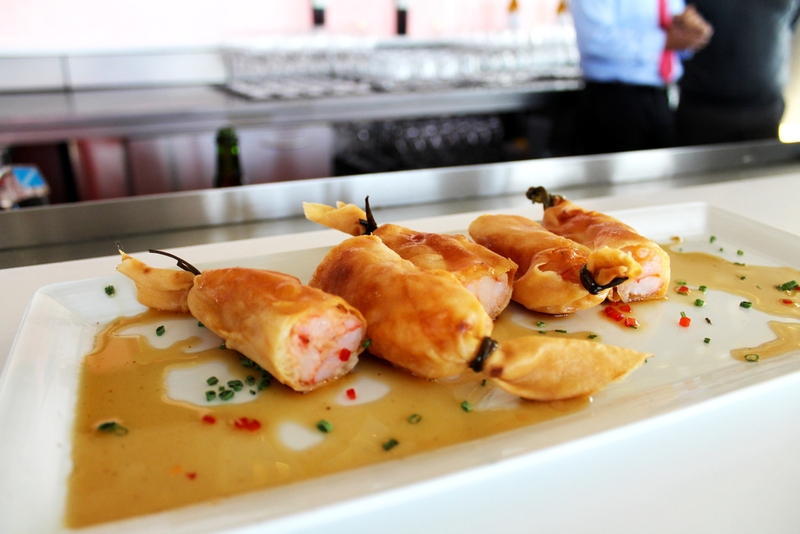 Crispy shrimp and lobster spring rolls. I think these are buttermilk fried green beans! Pork Belly Potstickers -- my favorite! The ceiling changes colors throughout the night. I picked a seat right in front of the gorgeous Dallas skyline. The other style + beauty influencers invited! Had to get a pretty shot of the sunset over Margaret Hunt Hill bridge! Roasted chicken over rice. Literally so big I couldn't even finish it! 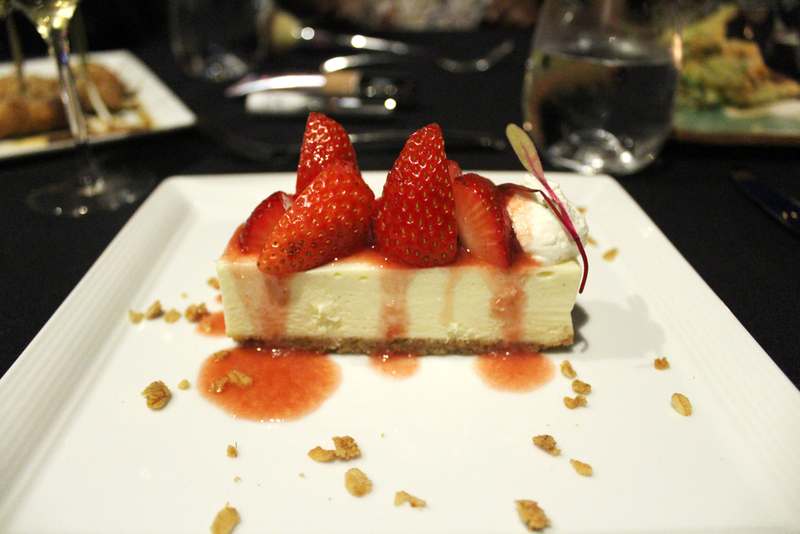 You can never go wrong with strawberry cheesecake. The ceiling at night -- I was in awe. Need this somewhere in my apartment! They even sent us home with tons of IT goodies that I am super excited to try and I can't wait to share my thoughts with you! Don't forget to follow on social media to keep updated on all things style and beauty!